I have been keeping CRS for almost a year now and because I live in Malaysia, the weather here is very warm. Many of us love keeping these small little critters (CRS) but a chiller is way too expensive for us. Some of us may think that CRS won´t be able to live, let alone, breed for us so we give up on keeping them. 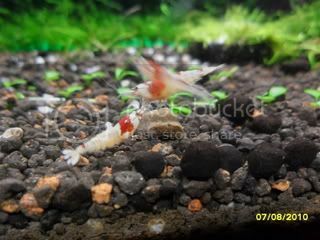 For me, I have been keeping CRS in warm temperatures of 26-29°C without a problem and they have even bred a lot for me. 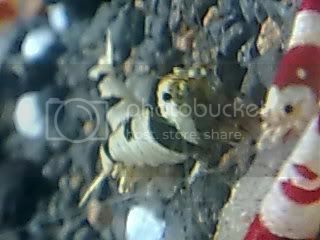 Many people think that CRS are very, very sensitive shrimp but they are quite hardy. I think that they can slowly adapt to the warm temperature and get use to it. So I´m going to give some tips on how to keep CRS in warmer temperatures. First of all, if you want to keep your CRS in warm temperatures, most important is that you need very clean water. 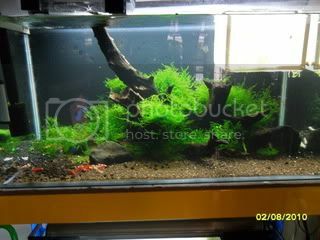 You can just get a canister filter (Eheim is a good brand to choose) and do water changes regularly, then that shouldn't be a problem. Secondly, your pH have to preferably be low. 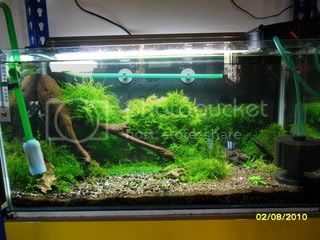 Optimum pH is 6.2 - 6.8, but I´ve kept my CRS at pH of 7.5 before and they have still bred for me You also need to have SOFT WATER. Your water's hardness is more important than your pH, so look out for it. (Here's an article on water parameters). You can use soil to lower KH/pH. Some brands of soils are : ADA Amazonia, Amazonia 2, GEX shrimp sand, red bee sand, etc. 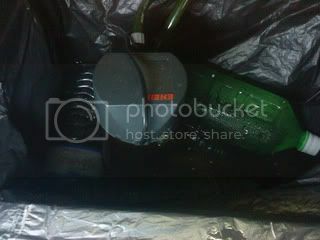 Third, you need a decent sized fan to blow on your tank to reduce the temperature a little. With a fan I managed to get to only 27-28°C. 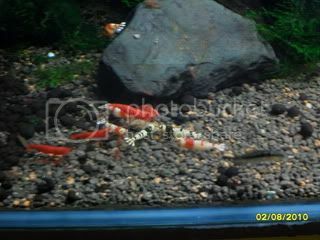 Further, feed your shrimps more vegetable-based food such as spinach, bulberry leaves etc. 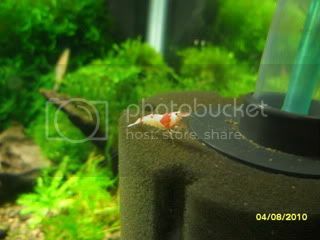 This can help with your shrimps coloring. Of course adding some MOSURA Mineral Plus also will help a bit. Or what you can also do is: make your own DIY manual chiller. It managed to bring my temperature down to about 25-26°C for the whole day. Alright, first you just have to cut a small hole that can just fit the tubes of your canister (refer to picture 1). 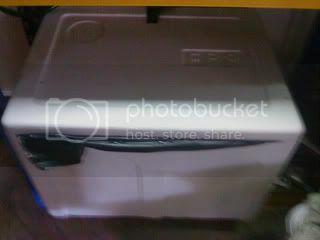 Next, put your canister into the styrofoam box and put some water into the box. The water level should be about 3-4 inches high. After that, just fill many 1.5 litre or 2 litre bottles with water, put them in the freezer and let the water inside turn into ice. Then just put the bottles of ice into your box every day. The ice won´t melt that fast due to the styrofoam box and the water in the styrofoam box is cooled to a lower temperature by the ice. 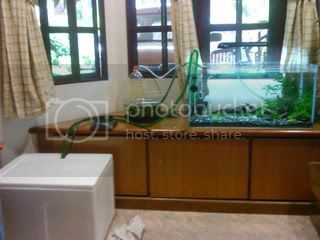 The water keeps flowing through the canister filter and will also be cooled down, so your tank water can also be cooled.